Dominic Johnson received a D.Phil. from Oxford University in evolutionary biology, and a Ph.D. from Geneva University in political science. Drawing on both disciplines, he is interested in how new research on evolution, biology and human nature is challenging theories of international relations, conflict, and cooperation. He has published two books. Overconfidence and War: The Havoc and Glory of Positive Illusions (Harvard University Press, 2004) argues that common psychological biases to maintain overly positive images of our capabilities, our control over events, and the future, play a key role in the causes of war. Failing to Win: Perceptions of Victory and Defeat in International Politics (Harvard University Press, 2006), with Dominic Tierney, examines how and why popular misperceptions commonly create undeserved victories or defeats in international wars and crises. His current work focuses on the role of evolutionary dynamics, evolutionary psychology, and religion in human conflict and cooperation. Peter Wilson is Chichele Professor of the History of War at the University of Oxford and a Fellow of All Souls College. He is Chair of the CCW Academic Board. He worked previously at the universities of Hull, Newcastle and Sunderland, and has been a visiting fellow at the University of Münster, Germany. His research examines the history of warfare in Europe and the world between about 1500 and 1900 as well as German history from the middle ages to modernity. His books have been translated into Chinese, German, Italian, Japanese, Macedonian, Polish and Spanish, and include The Holy Roman Empire: A Thousand Years of Europe’s History (2016) and Europe’s Tragedy: A History of the Thirty Years War (2009) which won the Distinguished Book Award from the Society for Military History. Oxford University Press will publish his latest book, Lützen in their Great Battles: History, Culture, Legacy series in January 2018. Consultancy work includes the National War College Washington, US Naval War College, US Military Academy, and Shell. Media work includes BBC TV and Radio, Croatian State TV, Financial Times, and the Los Angeles Times. Whilst at Hull, he established and directed the Heritage Consortium and the North of England Consortium for Arts and Humanities. The first combines seven north-east England universities to provide a Centre for Doctoral Training in Heritage Research funded by the Arts and Humanities Research Council, while NECAH is a broader based doctoral training partnership of six institutions. 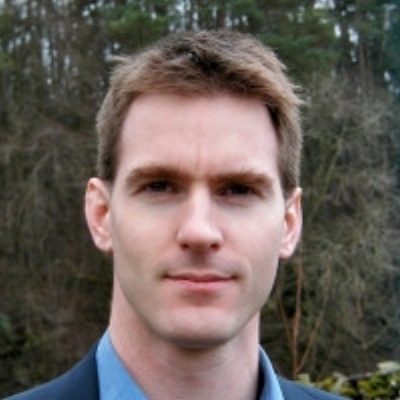 Dr Eamonn Molloy is the Tutorial Fellow in Management Studies at Pembroke College, and Associate Fellow of Saïd Business School, University of Oxford. He is internationally recognised for his research that develops innovative approaches to understanding complex organization design, with particular emphasis on the strategic dynamics of project, programme and portfolio based organizations, and the role of technology in professional and organizational change. Eamonn has held academic posts at the Universities of Warwick, Bath and Lancaster. He has worked on collaborative research projects with numerous Government bodies including the National Health Service, Department for Education and Skills, Department for International Development, Natural Environment Research Council and the Economic and Social Research Council. He has also worked closely with private sector organizations including Cadbury Schweppes, Unilever, United Utilities, BNFL and major mining, oil and gas companies in South Africa and Mozambique. Professor Harvey Whitehouse is Director of the Institute of Cognitive and Evolutionary Anthropology (ICEA) and Fellow of Magdalen College. His work focusses on the evolution of social complexity, the cognitive science of religion, experimental anthropology. Harvey Whitehouse is the recipient of an ERC Advanced Grant to test and develop his theory of “modes of religiosity". The modes theory proposes that the frequency and emotionality of rituals determines the scale and structure of religious organizations: low-frequency, highly arousing rituals bind together small but very cohesive groups of participants; high-frequency, less emotionally intense rituals create large anonymous communities that are more diffusely integrated. In recent years, Harvey Whitehouse’s work has expanded beyond religion to examine the role of rituals of all kinds in binding groups together and motivating inter-group competition, including warfare. This research has become increasingly global in reach with ongoing data collection now established at field sites in Singapore, Japan, Indonesia, New Zealand, Australia, Vanuatu, Brazil, USA, Spain, Cameroon, and Libya. Harvey Whitehouse’s lab group is the Centre for Anthropology and Mind and he is also a founding director, and the editor for ritual variables, of SESHAT: The Global History Databank. Dr Adrian Gregory is the Damon Wells Fellow in Modern History at Pembroke College and Associate Professor of Modern History in the History Faculty, University of Oxford. He directs CCW’s sister programme on the Globalising and Localising the Great War. Adrian's research interests lie in twentieth century British and European History with special reference to the World Wars. As part of his research on the First World War in British and Global History, he is in the final phases of a new short history of the war to be published by Oxford University Press and has recently contributed a chapter on 'Religion and Belief' to the new Cambridge Encyclopaedia of the First World War. He is also in the process of setting up an interdisciplinary research group on war, peace and religion in Oxford, and was the historical consultant to the BBC1 series Britain and the First World War presented by Jeremy Paxman. Associate Professor of Modern History, Damon Wells Fellow in Modern History, & Fellow of Pembroke College, Oxford.